Tight and white vs. blue and loose. Protect your home or business from further damage with the latest temporary roof technology! BioResponse Temporary Tight Fit Roof Wrap. A specially formulated, virgin resin blend that provides superior strength and longevity. 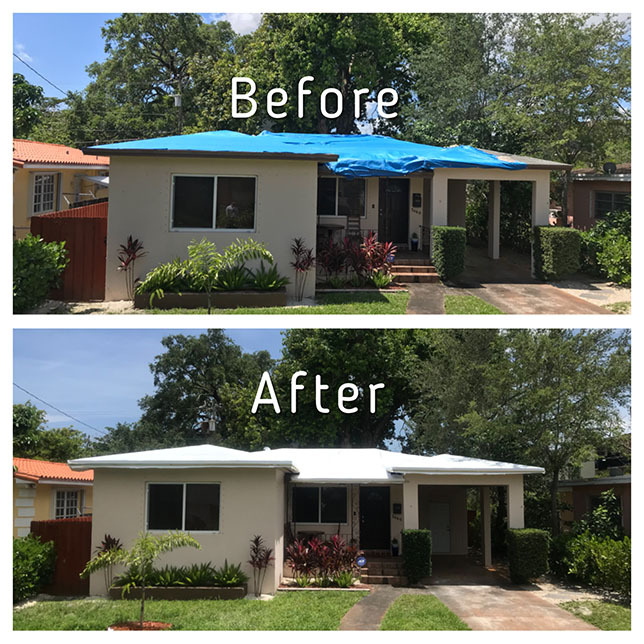 Our expert installers ensure a perfect fit, utilizing specialized heat guns to shrink wrap a tight fit all around your roof. BioResponse Temporary Tight Fit Roof Wrap Wrap reduces the risk of protection being blown off, and is capable of sheltering your home for over 12 months. There is also an aesthetic improvement, tight and white verse blue and loose. Why use BioResponse Temporary Tight Fit Roof Wrap? Insurance companies are taking longer to pay claims, and most roofing companies are experiencing a backlog of up to 12 months. Allows you, attorneys, and public adjusters more time to negotiate the best possible reimbursement. BioResponse can bill insurance directly and only collects a small deposit with no risk to you. In times like these your quality work and attention to detail is appreciated.Your employees were very professional and pleasent to deal with. Thank you from all my family. Your immediate response and excellent cleaning is appreciated. Thanks for working with our budget. We plan to use Bioresponse again. Professional, forthcoming and quick response. After hurricane Michael there were lots of vultures and low life’s trying to take advantage of the victims. Nicolas responded quickly completed the quote, which was below what I expected, and they stuck to it. 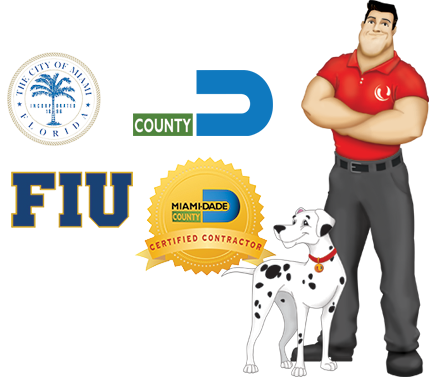 Manny responded with his crew and completed the remediation in a timely, safe, clean and professional manner. The major thing they did was showed concern for safety, compassion for the victims and respect for you and your property. Great Job, Thanks! The people, especially the lead Manny Pozo, was professional and personable. They used more time and equipment than estimated to dry out a troublesome are that concerned me and never once even suggested increasing the bill. They went well beyond my expectations. I had a noticeable leak in my ceiling and I called BioResponse to come assess the damage. Manny made an appointment with me immediately and was at my house the next day. The work by this company is neat, professional and fast! I highly recommend them! If you or someone you know has a Water, Mold, Fire or Biohazard emergency, BioResponse Restoration is the company to call! We had a severe mold situation due to roof leak from Irma that we have been waiting for insurance to resolve. They were great Clean, thorough and told us want to expect. I would recommend them to any who has a mold issue!